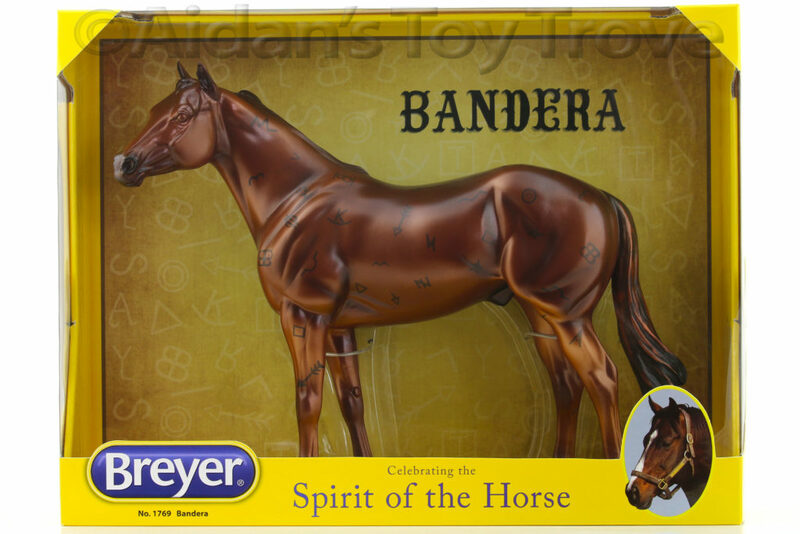 For sale is a Traditional Scale New In Box(NIB) Breyer Bandera 1769 – Symbols of the West Ranch Horse. 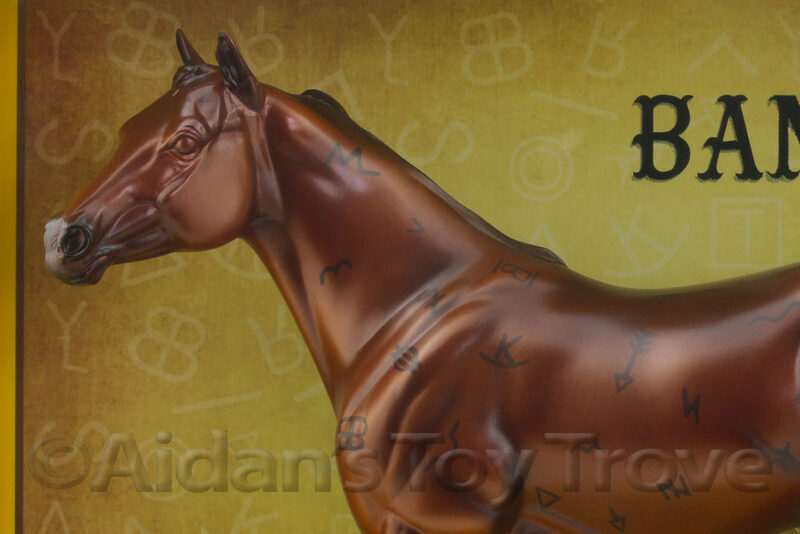 Bandera is on the popular Geronimo Mold and is a Metallic Decorator with several brands. This is a new product for 2017 and is in hand and ready for immediate shipment. 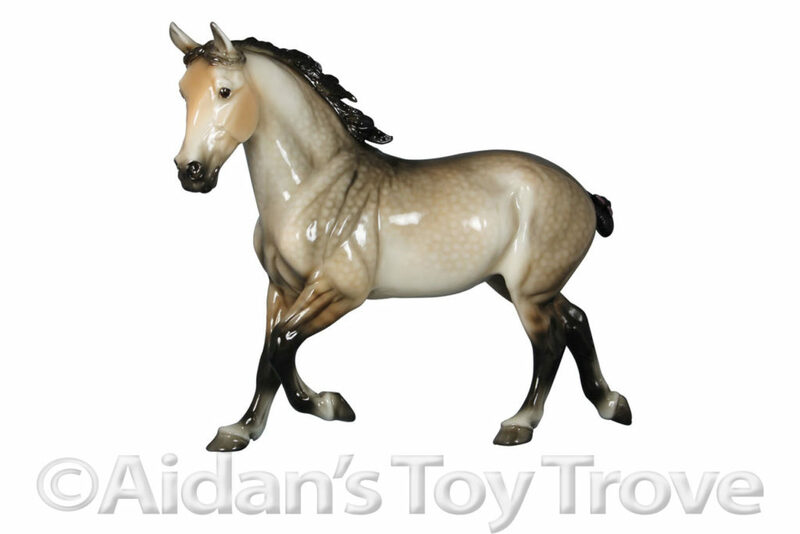 The American West was won on the backs of the stock horses who would become the American Quarter Horse, and today, ranchers still depend on them to run their ranches. 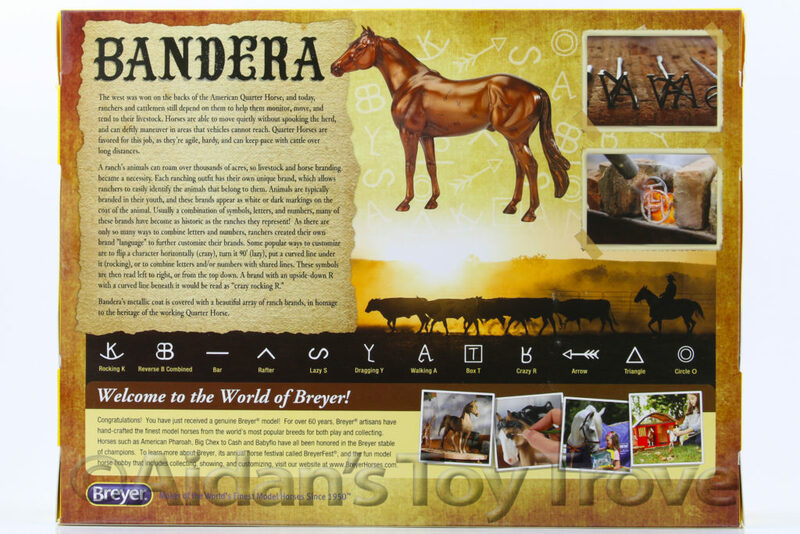 A ranch’s animals can roam over thousands of acres, so livestock and horse branding became a necessity. Each ranching outfit has their own unique brand – usually a combination of symbols, letters, and numbers – many now are as historic as the ranches they represent! 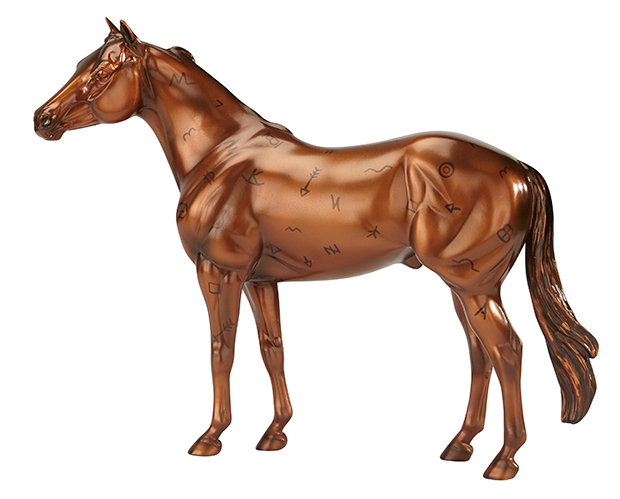 Bandera’s glowing metallic coat is covered with a beautiful array of ranch brands and symbols, in homage to the heritage of the working Quarter Horse. This item will be sealed and tied in its original box, and the box may show some wear from shipping. 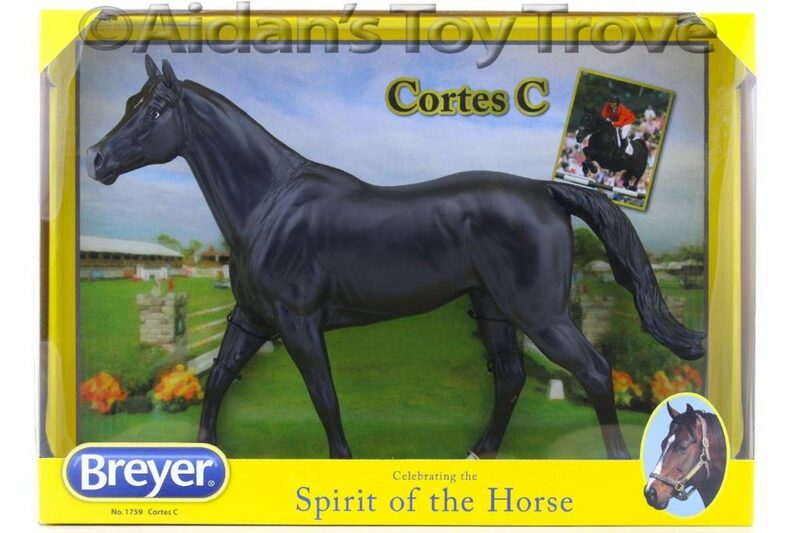 If purchased, you will receive a brand new in box (NIB) Breyer Bandera 1769.